The four bills were hastily introduced in June, shortly before the House left for summer recess. If passed, they would require the Department of Natural Resources to install more buoys and signage in the Straits of Mackinac, warning ships not to drop anchor. They would also set sentencing guidelines for ship captains who drop anchor in the Straits and require any company operating pipelines in the Straits of Mackinac to have oil spill response plans on file with the state, but would exempt those plans from the Freedom of Information Act. Representatives Abdullah Hammoud and Erika Geiss offered several amendments that would have required any companies that own pipelines in the Straits of Mackinac to carry enough insurance to cover a worst case scenario spill, to expand the bill to cover all pipelines in the state, not just in the Straits of Mackinac, and to remove the oil spill response plan exemption from the Freedom of Information Act. All three amendments were supported by Democrats on the committee, and rejected by the Republican majority in party-line votes. In other words, Chatfield and his Republican counterparts, in an effort to make it look like they are doing something on Line 5, pushed bills that would do nothing to protect against a Line 5 spill, but would instead help in assigning blame elsewhere for said spill, should it occur. If the majority party in the State House truly cares about this issue as they claim to, they should immediately introduce and pass a bill prohibiting the transport of oil and gas on, under, or through the Great Lakes. Promoting toothless bills like the ones passed by the Michigan Competitiveness Committee today, is nothing more than an effort to trick their own constituents into thinking their elected representatives are looking out for them rather than Enbridge and the other corporations that have bought their loyalty and votes. But we know that Michigan residents are too smart to fall for it. On November 6th, we will have the opportunity to elect representatives who will actually stand for their constituents and the waters of the Great Lakes, which literally define our state. 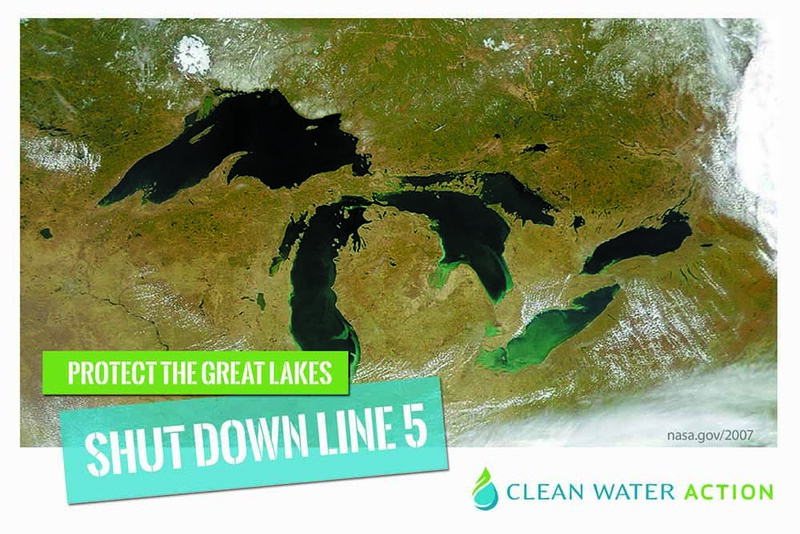 Check out Clean Water Action’s endorsed candidates here and remember to vote for clean water and preserving our Great Lakes for the future on November 6th.